Our Log Motel Rooms are On a Private Pond,with a Spring-fed stream running through the property. They border the Greer Meadow, the National Forest and Little Colorado River. Panoramic views of the Greer Mountains! 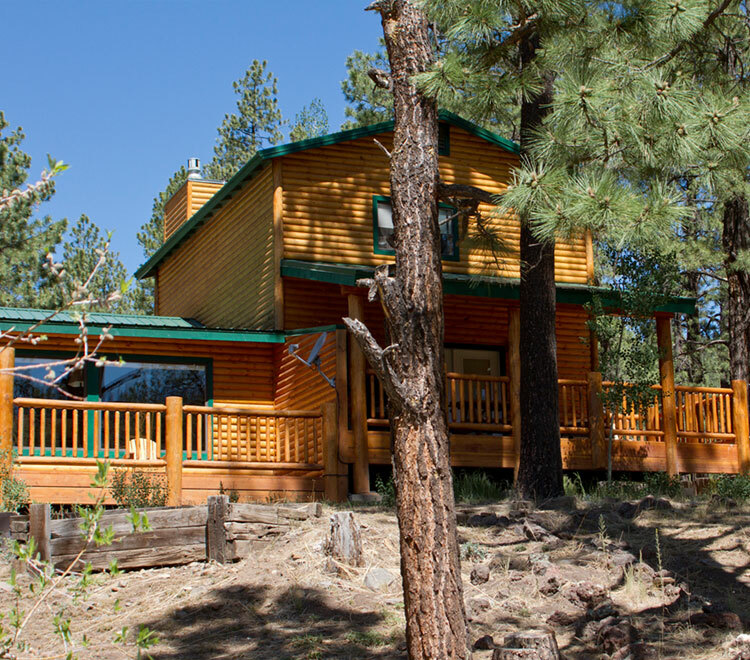 See Bald Eagles, Elk & Deer from your covered front porch! Centrally located on Main Street in the “Village” of Greer! Nicely decorated interiors and quaint front porches. Some are Dog Friendly (additional fee of $20 applies per dog per night; maximum of 2 well behaved dogs nte 50 lbs allowed). Each Motel Room features a King Size Bed (comfortable mattress), Sleeps 2. Wi-Fi is available for free, however, quality is not guaranteed. These are NOT soundproof rooms, which is part of their charm.